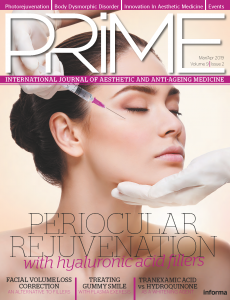 Nikolaus Linde and Natalia Mikhailova describe why the Apriline range of dermal fillers are the perfect choice to restore volume to an ageing face. surgical approaches to the correction of facial ageing have changed dramatically over the last few decades. A range of injection techniques have now gained wide acceptance, in some cases, these methods have replaced surgical invasion. Injection techniques can not only improve the appearance and texture of the skin and eliminate wrinkles, they also reduce the risk of complications, shorten recovery periods and reduce costs. The process of facial ageing mostly occurs under the influence of external and internal factors. These factors include the impact of sun exposure, smoking, nutrition, alcohol consumption and health changes. The gravitational ptosis of soft tissues, reduced amount of fat and involutional changes in the soft tissues and bones exacerbate the above-mentioned process. Additionally, muscle fatigue, along with habitual facial expressions result in the so-called hyperdynamic wrinkles and folds. Facelifts are a procedure aimed at the restoration of the contours of a young face by means of skin tightening. It can be achieved either by removal of excessive atonic skin (surgery) or by repositioning sagging tissue (aesthetic treatments). Injectable facelift involves botulinum toxin injections and the introduction of volumizing dermal fillers. This article will primarily touch upon dermal fillers. The hyaluronic acid (HA) fillers provide support for facial tissues. Today’s market offers a wide range of HA fillers with different viscosity, elasticity and duration of the desired effect. These products are extremely safe and provide long-lasting results. The APRILINE® range (Suisselle, Switzerland) of HA filler products are monophasic, homogeneous, sterile apyrogenic gels with high plasticity and a 23 mg/ml concentration of HA. 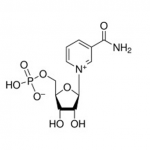 APRILINE® contains biosynthetic hyaluronic acid modified in accordance with A.P.R.I. technology. The reticulation of the hyaluronic acid in APRILINE® NORMAL filler is 9% while the reticulation of the HA in APRILINE® FORTE filler is 14%. Quality formative effect with high viscosity (ability to ‘hold’ reference points). APRILINE® FORTE meets all these requirements. APRILINE® FORTE, being the densest product, is used to restore malar area volume. Before using a cannula, one has to perform markings according to Hinderer (Figure 1A), or according to Swift (Figure 1B) and define the area of soft tissue deficiency. The next step is to make a foramen (the middle of the zygomatic outgrowth of the temporal bone). The product is to be injected under the circular muscle of the eye with a cannula in a linear retrograde way in SOOF lifts. One has to insert the cannula perpendicularly all the way to the bone. After that, while twisting the cannula one has to insert it along with the given vectors parallel to the skin surface. It is possible to apply a bolus injection at an apex point in order to create face relief and emphasize malar eminence. Moving the soft tissues of the zygomatic area against the ptosis vector provides the reduction of furrows (tear and velar) and smoothing of the nasolabial fold while balancing the face oval. When using a needle in the zygomatic area, the product must be administered slowly (0.1 ml over 10–15 seconds). This reduces the pain caused by the tissue distension. Mandibular corners become the reference point for the lower-face facelift. Due to the age-related bone resorption, the angles are smoothed, resulting in a ‘slipping’ of the soft tissues from the periphery to the center, and the formation of ‘flews’ and ‘puppet’ wrinkles. The procedure of filling the volume of the bone tissue by means of hyaluronic acid based dermal fillers is used to correct the above-mentioned changes. Mandibular angle projection is the point for the formation of the entry channel. The product is to be administered subcutaneously in a linear, retrograde way by means of a cannula along the mandibular body from the beginning of the ‘flews’ to the entry channel. After that, one has to twist a cannula and bring it along the mandibular branch all the way to the earlobe. The product is to be administered when the cannula is about to leave the tissue. This allows one to mark the outline of the corner. To restore the apex point, the required amount of drug is to be administered into the projection of the top of mandibular angle through the injection point to the periosteum. Typically, the flow rate of the product for one side is 1.5 ml (0.7 ml along the mandibular body, 0.3 ml along the mandibular branch and 0.5 ml at the reference point). The mandibular line becomes balanced, labio-chin folds become smoother and the young contour is formed. A ‘liquid facelift’ is based on the administration of dermal fillers on the border of the dermis and hypodermis, which smooth the covering tissue by means of the uniform product distribution. The fillers used for this procedure have to be fluid, flexible and of low viscosity, but at the same time they have to have a long biodegradation period. A distinctive feature of APRILINE® products is the realization of the so-called lining effect. This effect leads to the smoothening of the covering face tissue and restoration of the missing volume by means of the soft uniform distribution of injected gel within tissues. Subsequently, the gel is replaced by connective tissue, which provides mechanical strengthening of the dermis and hypodermis. It also reduces their displaceability relative to each other and allows the result to be maintained for 6 to 8 months. Therefore, using a cannula to administer the product subcutaneously ensures a long-lasting effect of lifting and firming soft tissues associated with the ‘tired’ aging morphotype. This includes wrinkle reduction and face relief balancing associated with the ‘finely wrinkled’ ageing type. This procedure is particularly relevant in the ‘sensitive’ areas such as the forehead, cheeks and décolleté. The result is visible immediately after the treatment and gradually becomes more evident during the following 13–20 days. APRILINE® NORMAL best corresponds to these characteristics. The product is evenly distributed within the surrounding tissues while filling the wrinkles. There are no unpleasant post-treatment effects (pain, swelling or hematoma). The effect lasts from 3 months to a year. One can also use APRILINE® HYDRO, a bio-revitalizer containing hyaluronic acid with glycerol, which prolongs the moisturizing effect of the product. APRILINE® NORMAL/HYDRO is to be injected symmetrically on both sides with a 25 g cannula with the fan technique. The distance between each cannula passage should not exceed 1 cm. Not more than 0.05 ml of the product should be administered within a single linear retrograde cannula passage (Figure 1C). A ‘liquid facelift’ is recommended for patients with finely wrinkled, tired faces and in the case of combined types of ageing. This method can be used not only in the bucco-zygomatic area, but also in the forehead, neck and décolleté areas. Using APRILINE® NORMAL typically requires a single treatment. 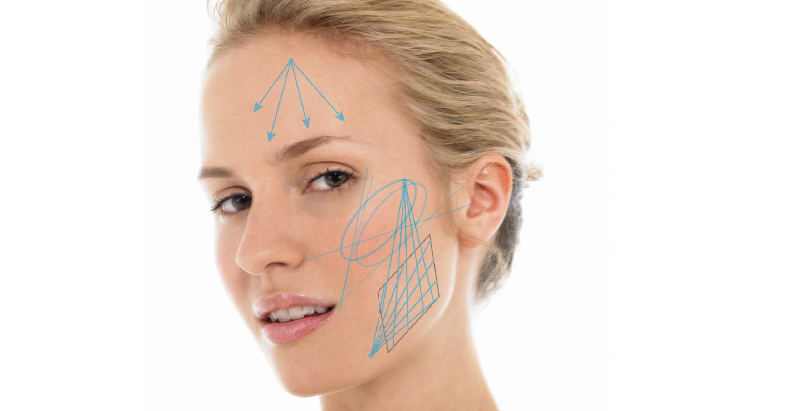 Injectable facial fillers offer excellent options in the treatment of facial ageing. They are a viable alternative to plastic surgery. The in-depth knowledge of all available products allows for the optimal combination of traditional and injectable techniques for the successful solution of patients’ specific problems. 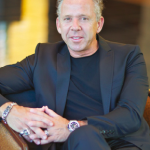 President of the Swiss Academy of Cosmetic Surgery, Founder of NL Dr. Nikolaus Linde Clinics, , St.Gallen and Zurich, Switzerland.